This article is part of the The Crossway Podcast series. 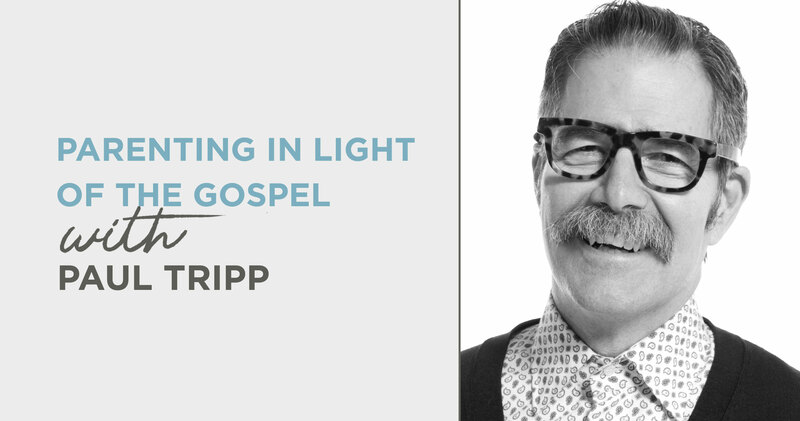 In this episode of The Crossway Podcast, we talk with Paul Tripp about maintaining an eternal perspective on the day-to-day (and sometimes seemingly mundane) realities of raising children. He encourages parents to look to Christ for daily grace and acknowledge their own deep need for the gospel. 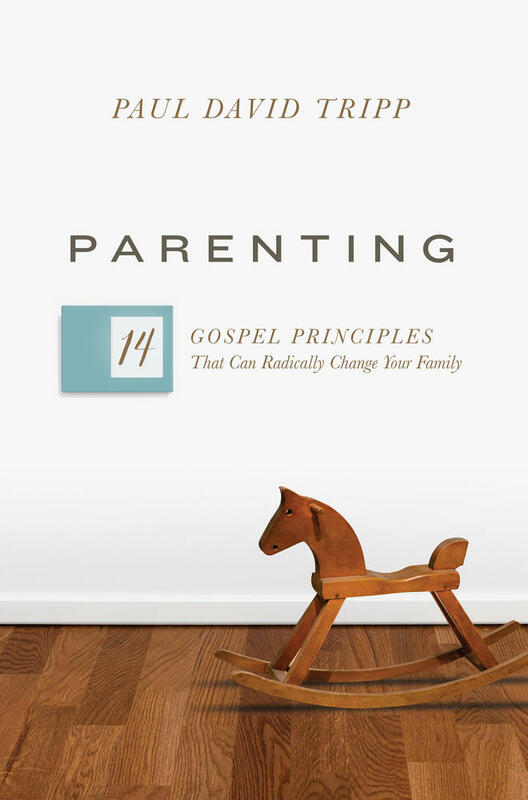 This book sets forth fourteen practical and gospel-centered principles that help parents view their role through the lens of God’s grace, radically changing how they interact with their children. If you like what you hear, consider leaving us a rating on iTunes, Spotify, etc. Positive ratings help us spread the word about the show! Paul, thank you for joining us on The Crossway Podcast. Your wife, Luella, and you have how many kids? Four kids. And roughly what ages are they right now? 01:40 - Did You Always Want Kids? Okay, so it's been a while since they've been at home, in diapers, requiring all-hands-on-deck kind of care. Did you always want kids? Do you remember back to the days before marriage—or even in those early days of marriage—were kids always a priority for you and your wife? Yeah, I think so. Although as a couple we felt it was really important to get ourselves grounded as a couple, to develop some kind of normal pace and culture of our marriage that was workable and biblical. And so, we didn't rush to have children. We were married for five years before Luella became pregnant and then that first pregnancy ended in a miscarriage. But we really felt that our greatest contribution to our children would be on the solidity and love of our relationship that would provide the kind of security that they would need. So we were done at two children. We felt with a busy ministry life that was good. We read a book written by a lawyer for the Philadelphia Child Welfare Department called Throwaway Children, and it was just story after story of how powerfully and negatively children’s lives are impacted by adult decisions and we began to believe that our home was a resource. And so we adopted a daughter. We wanted to adopt an otherwise unadoptable child and after examination the best match for us was a mixed-race child because they were hard in those days to adopt. And so we brought Nicole into our home and then a couple of years after Nicole arrived we had a Houdini—an unplanned pregnancy—and so then we had three boys and a girl, for which we are very, very, very thankful and we can't imagine our lives without any one of them. As you think back to those early days of parenting, is there anything that looms large as the most unexpected thing about the reality of being a parent—good or bad? I think the most unexpected and humbling thing for me was my own struggle with anger. I did come to the point in my life where I was a pastor, but I was a very angry man and I was in the midst of destroying my life and ministry and didn’t know it. And that began with the birth of our first son, and just the total unpredictability of life, of how children tend to make everything harder. I’m a project-oriented guy. I’m a planner. I know what I want to accomplish everyday. I had no knowledge that that was inside of me. And in that way it was a beautiful thing that God was doing, because it was requiring me to face this thing that was inside of me. Luella was tremendously patient and gracious. She confronted me again and again, but she did it in beautiful ways. That theme is just broken in my life. I’m just not that man anymore. I sort of theologically expected—because of what the Bible says—that we would be welcoming these self-appointed little sovereigns in our home and all of that, but the rage that it would produce inside of me was just completely unexpected. Yeah, kids they have this tendency to bring out and reveal the worst inside of us, and I think that manifests itself in different ways for each of us. I think one of the things that children do is that they hook your idols. What do you mean by that, hook your idols? I think that they get in the way of your functional idolatry. They tend to step on your idols. So my idol of personal productivity and sovereignty over my schedule—Oh my goodness, my children were just trampling that. The rage of Really? Now? Really? I have to deal with this now? And then that began to alter my relationship with Luella because she was obviously very uncomfortable with the way I was responding and it was just a mess. God put me in a situation where my eyes were opened and I saw it and I was filled with an enormous amount of grief. I went to Luella and asked her to talk to me. I said, “I know you’ve been trying for years and I’ve wrapped my robes of righteousness around me and refused to have the conversation. I’m ready to listen.” She talked for two hours. And it began the process of God just undoing my heart and rebuilding it again, and that was just very necessary. In our day and age it’s easier, and probably more prevalent than ever, to delay parenthood—maybe even skip it altogether. You know, the prevalence of low-cost birth control and other reproductive technologies have allowed couples to have an unprecedented level of control over the timing of when they have kids and over how many kids they have. Do you think that this technological power has had any impact on how we as Christians think about children? I think there’s good news and bad news with the delay of parenting. I think the reality of what is happening in culture is—this is my interpretation—that people are maturing later. I think there are two reasons for that. One is the enormous busyness of the family. Most couples who live near big cities—both husband and wife—will need to work. And that means mom and dad are out of the home a lot of the time, it means they’re exhausted when they’re not out of the home. And that impacts the way in which parents influence and disciple their children. So you have a family that’s trying to squeeze profoundly important things into a lot less time. And I think that means eighteen year olds of today are not the eighteen year olds of fifty years ago. Definitely not the eighteen year olds of a one hundred years ago. We should recognize that. The second thing is the power of media breaks down the influence of the surrounding community that would influence me: my neighborhood and my church. The family is very important for the development of child, but the community is very important for the development of the family, and the larger influence of that child. My parents weren’t capable of giving me everything I would need to develop well. We needed the church. We needed the strong knit community. You begin to break down the influence of those things and people are not ready. Because the tools that God created to make them ready for adulthood are not being used in the way that they were once used. So you’re saying that you view any kind of delays in parenting as primarily a result of issues that are further upstream from that? And I think that the church always has to be realistic about economic factors in people’s lives. With higher education now people leave college massively in debt. That’s a huge issue for when you think you’re capable/able to have kids and support them well. So there are a lot of factors that we have to look at. And I think what you do is you take cultural trends and you use them as a way of listening to and understanding individual stories. So I’m not going to treat all couples who are having children older as the same. I know some things that may have influenced their decision, but I want to meet them as individuals. I think it can be so easy for Christians who have strong opinions on some of these things to come into those conversations with a preconceived idea about the right way to do it, or the wrong ways to do it. What encouragement would you give to Christians when it comes to discussing these topics that can sometimes be a little bit tense? This won’t make any sense until I describe it, but treat Scripture as jazz and not sheet music. For example, God gives me all the broad principles I need to parent the way he’s called for me to parent. That’s analogous to key signature and a time signature. So the structure’s there. But he does not tell me how to have that conversation on a Tuesday night when my son has come home smelling of marijuana. He just doesn’t. In that way, it’s jazz. As long as what I do with that boy stays inside of God’s key signature and time signature, I’m free to improvise. That’s God’s design. That’s the beauty of the freedom that he’s given us inside of his boundaries. And so we have to handle these issues this way. We don’t actually have a script for all these issues. We have broad principles. Those principles are absolutely important. We should hold them with the highest of esteem. And we must never diminish their influence in our lives, but we must understand the broadness of those and not think that we have more specificity than we actually have. When I was doing counseling more regularly, there would be moments where I would say, “I want you to hear what I’m about to say. I’ve shared with you what God’s Word teaches. Now this is one man’s best application of that in your life.” I wanted to make that distinction between those two things. And I think, as I read Twitter or whatever, I just think we're just losing that distinction all over the place. As you get older, how do you think about the convictions that you have—maybe specifically in regard to parenting. Do you find that your convictions are getting stronger on certain things but maybe less things? I would say that my convictions are stronger than ever. My esteem for the practical brilliance of the Word of God, it just blows me away again and again and again. And when I think I’ve been astounded as much as I’m going to get, I get astounded again. I’ve become more and more flexible in my understanding of how those things are applied in everyday life. And so you gotta have both of those. And I think we can’t allow ourselves to speak with a specificity and authority that Scripture doesn’t give us the right to. In light of that fact—that Scripture doesn’t lay out a script for every situation we’re going to face as parents, even big, important situations—sometimes we don’t always agree on the best path to take with some issue. We maybe agree on the biblical principle that would inform that next step, but we don’t really agree on what to do, practically speaking. What kind of advice or encouragement would you offer to parents, maybe a couple, that isn’t seeing eye-to-eye on something, isn’t seeing the same path forward when it comes to applying one of those principles? The call to Scripture, to unity, only makes sense if there is going to be diversity. The New Testament assumes diversity all over the place, whether that’s male or female, slave or master—that’s why there’s that call to unity. The goal is not uniformity. The God who made lilies also made rocks. And so we should not have a uniformity goal. We should not have a uniformity requirement. That will kill a marriage. And it will create fights over parenting. I’m different than my wife. I have a different set of gifts. She looks at things differently than I. We should debate our way through those in a loving way. So you’re not saying avoid the conflict? No. You have to have it, but you have it in a way that’s loving and affirming and godly and patient and kind and respectful. There’s a reason that God designed two parents. Parenting is not impossible with one person, but you see the wisdom of the conversation that goes on all the time. But it only happens the way it’s supposed to happen if you don’t demand uniformity. If that’s true of the body of Christ, then surely it’s true of marriage—the comprehensive 24/7 of marriage—and surely then of parenting. People jokingly say if you’re out with a group of couples, don’t talk about parenting, you’ll be in a fight. Well, why is that? Because we love the security of one-way rightness, instead of this wonderful field of liberty inside God’s boundaries is. So it’s okay for us to disagree. Luella, my wife, is so good at that. She does not feel the need to have me endorse her opinion. It drives me crazy because I want her to say, “You’re right. You’ve always been right. You’re the rightest person I know.” But she doesn’t feel the need for that at all. And she, because of that, is much more able to have those conversations than I typically would be willing to. And it’s been really helpful for me to distinguish that the call in Scripture is to a commitment to unity—unity assumes diversity—rather than a call to uniformity. Yeah, that’s a topic that I think would be very interesting to discuss maybe in another conversation when it comes to marriage. So, you do a lot of conferences, and you do a lot of them on parenting. My guess is that at this point you’ve probably spoken with hundreds, if not thousands, of couples and answered questions about parenting. What are some of the most common questions that you get? By far the number one question is, I have a self-willed four year old. What do I do? I want to be charitable in the way that I say this, but I think a lot of the roots of that question are because we do tend to minimize depravity. In our own kids, you mean? Yeah. What Paul says in 2 Corinthians 5:15 that, “Jesus came so that those who live would no longer live for themselves’—that the DNA of sin is selfishness. And so we’re shocked that this little one would look at the size of himself and the size of us and take us on. And that there are no arguments that we can give that seem to diminish his desire to rule his world. It’s hard for us to own our inability as parents. We literally have no ability whatsoever to change our children. We’re called to be representatives of the one who can change our children. So I think it’s that question, and then I think the second is, I've discovered my teenager is doing "X", what do I do? And again, the assumption is that if we do all these good things with our children they’ll turn out well. And the reality is, no matter how well I act toward my children, if they don’t transact with God, they won’t be okay. And I can’t make that transaction. In the middle of parenting is just a whole lot of desire from people—and I get this—that if you could just tell me how to do "X" . . . I don't think it’s a failure of Scripture that it doesn’t do that. I think it’s brilliance and it’s grace that it doesn’t do that. Because I don’t have to carry around this pressure, Okay, I’ve got to say this thing at this moment or God’s not going to be happy with me. I just don’t have that. God says, Here’s the kind of person I want you to be. Here’s the way I want you to talk to your kids. Here’s what my grace looks like. Now go have at it. And you don’t need to be afraid. I’m with you. The way you talk about that in the book is you say that our calling as Christian parents is to “be a principal, consistent, and faithful tool in his hands for the purpose of creating God-consciousness and God-submission in your children.” Unpack that a little bit. What do you mean by God-consciousness and God-submission? I know that I’ve given birth to little interpreters. My children won’t live life based on the facts that they experience, but based on their interpretation of the facts. Every child is philosopher. Every child is a theologian. Every child is an archaeologist who will dig through the mound of his existence to makes sense out of life. And so I want to introduce my children early to the fact that they’re not in the center of the world, God is. That the metastory is the story of God. It’s not the story of them. And that living is about embedding your personal story in the larger of God. So it’s first that God-consciousness followed by then, he has designed a way for you to live because he knows what is best, because he’s creator. The reason that God-consciousness and God-submission are so important is they compete with all the other forms of human identity and human meaning. You are your looks. You are your athletic ability. You are your intellect. You are your likes. You are your power. You are your race. All those other identities that in ways seem more real than God-consciousness and God-submission because we’re dealing with a God we can’t hear and we can’t see. And so I want to fight the battle early where my children are moldable and interested versus starting to fight the battle at ten, twelve, fourteen, when there have been all these other influences that have already begun to define the identity, meaning, and purpose of this child. Parents say to me all the time, “When do I start talking to my child about these things?” And I say, “In the womb! Get your voice in front of the stomach, preach!” So that the earliest consciousness of this child would be rooted in the existence of God. And I’m not smart enough to come up with this myself, it’s Deuteronomy 6. Think of the model there, it’s, Talk about these things—who is the LORD our God, the LORD our God is one—talk about them when you rise up, when you walk along the way, when you go to bed. Now, that’s not formal instruction. It’s going to marked by moments of formal instruction, of course, but life provides an opportunity to talk about these things. My son came to me once and said when he grew up he wanted to be a giraffe. And so I thought this was my opportunity and I lectured this little three or four year old on the image of God in man, as he picked his nose. We got done with the conversation and he said, “Okay, daddy. I'll be a lion.” Right over his head! But I don’t think any of those moments are a waste of time. And here’s how it happens. Your child is forming a sense of identity, they’re forming a worldview. So it’s pieces of conversations. They’re assembling pieces. I want to give them pieces to assemble. I don’t think that they’re going to get it all at once, but I get to wake up with them the next day. We get more opportunities. And we know that the center of what the Bible says about the human existence is the existence of God and life given over to submission to his will, and I want to do everything I can to form that in my children, realizing that there are powerful voices that they will hear. And so I want to start young so they’re prepared when those voices start having influence, so that they already have some structure in place for dealing with them. So when it comes to the issue of discipline, what are some of the pitfalls that you have seen that you think are common among Christian parents? Well, the number one would be to discipline your children before your heart is ready to discipline them in a way that is godly and productive. How do you balance that with the need to sometimes act in the moment? I have small kids at home and if my son is hitting my daughter, I kind of have to pretty decisively intervene right then, and sometimes we feel the pressure to—especially when they’re young—to follow through with discipline and go through that process quickly so that they are really making the association to what they did wrong. I would make a distinction between dealing with a situation—de-escalating it, stopping the child—and discipline.One is just aborting a situation. Discipline is the way that I interpersonally deal with that and what that forms in me. So I may go into the room, I may stop it. But I’m in no way ready to talk to them about this. Because I want to say, Do you know what it’s like for me? How many times did I come in here today? We told you not to . . . I’m just not ready for that conversation. And so, yes, I have to deal with it. I may get the child out of the room, get them in their room, say, You’re going to have to play in here a while because you’re not playing well with your sister. That’s fine, it’s got to be done. But that’s not discipline. That’s just situation maintenance. That’s an opportunity to actually discipline the child. And the two parts of that discipline are correction and instruction. So is there a need for correction? And what instruction should follow? That’s the stuff you have the choice to delay in order to get yourself in a better place. The other thing is, God’s good. He’s designed this child to live with you. If that day you’re just too rattled to deal in the right way, well praise God you’re going to get another opportunity because the child lives with you. It’s okay. You’ll get another opportunity. How important is it for parents to be willing to apologize to their kids when they do perhaps respond in anger, or in a harsh way, in the middle of a difficult situation? The reality is that I’m more like my children than unlike them. And the more I am willing to humbly display that, the more I become an approachable person. What's the best piece of advice that you received related to parenting? That there could be nothing more important—other than your personal relationship with God—than the forming of a human soul. To be God’s tool onsite for the development of a human soul. I mean, every time I say that it just fills me with a sense of wonder at how huge it is. And I want to build a lifestyle that prioritizes the significance of that. Maybe your children don’t need to play three musical instruments and be proficient at four sports. Maybe we don’t need to always remodel our house so we’re doing something all the time that’s arduous and interferes with life. Maybe we need to pare down and live more simply so this profound thing that we have been tasked with is given the priority it is. I think in the right sense of this word—because we had those kind of voices in our lives—we went into parenting with fear. That kind of holy awe at what we were called to do. That’s such a good wake up call too because I can attest to this personally that parenting can often feel so mundane. It’s just doing the same things over and over again. You’re doing the same loads of laundry. You’re doing the same difficult breakfast routine trying to get the kids out the door. You’re doing the same bedtime routine. And it’s easy to lose sight of that awesome reality that stands at the heart of what we actually are all doing here—raising children. The reason to hold onto that reality is you have to fight the uselessness of parenting. The feeling that this is just not making any difference, I don’t see changes in my kids, we have the same conversation over and over again, the same fights over and over again, the same points of discipline over and over again. I think it’s pretty regular for parents to experience feelings of futility. That’s why it’s so important to remember that God knows. God understands. And there’s no labor that we do in his name that’s in vain. Alright, so last question then. What’s one piece of advice that you would love to go back in time and give yourself, different from the one that you just shared. Don’t attach your identity to your accomplishments. And that means the willingness to do less. The willingness to wait. It means meditation is a good thing. Waiting is just horrible for me and I learned that waiting in God’s hands is not about what you get at the end of the wait, but what you become as you’re waiting. At the end, what God is not seeking to form in me is a set of accomplishments. He’s seeking to form in me a new man. Formed in the image of my Savior. That’s a lifelong process, and for that I need grace. And it’s that that God is forming me, not just using me to form a bunch of other things. That is the primary thing that redemption is about and as I stand before him, I won’t be a set of books. I’ll be his son. Matt Tully: Paul, thank you so much for speaking with us today and sharing from your own experience as a parent, as a Bible teacher, as a pastor. We appreciate you taking the time. It’s fun to be with you; I’m so glad we had the opportunity.